Any body have any experience with these. They have some in their current list I'm interested in, but would like some idea of what I'm getting into. A lot of the pictures and weights they look like they may be mostly Sierra products and given their proximity to Sedalia and Sierra it seems a reasonable assumption. Quite some time ago, and just once, but the really did have just cosmetic defects . . . Staining. Some years back I bought some 8mm, 170gr JSP 'blems' from Midway. Whatever the blems were I couldn't see anything at all wrong with them. They looked and functioned fine. I bought some 52 gr gummy tips for .222 rem (still haven't fixed the headspace issue). From what I could tell the OEM boxes were damaged so they put them in a Midway box and called it bulk discount blems. 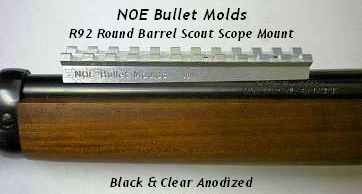 I have purchase some 30 cal "blems" for use in my Garand and the only "problem" I could find was some had ragged HP openings. I measured and weighed many, but besides the nose/HP irregularity some were a slightly different color, and shot as well as the "good stuff". I bought some .303 "blems" that looked fine, until I figured out the cannelure was in the wrong place on all of them. And then found out my Enfields don't like boat tailed bullets. rondog wrote: I bought some .303 "blems" that looked fine, until I figured out the cannelure was in the wrong place on all of them. And then found out my Enfields don't like boat tailed bullets. We don't talk 303 here but my two SMLEs shoot the PPU B125 bullet, a SPBT, the best. I was going through the bullets, put some in my cart, then got this email on surplus ammo. These are $10.00 per box with a case purchase. so i added a case to the cart, free shipping to. Should be darned good ammo and not a bad price for Federal. A few years back I picked up 500 rounds of PPU .30 Carbine SP at something like $15/box of 50. They came sealed in heavy clear plastic 5 boxes per pack. Looks like S&B, PPU, Armscor, Aguila and maybe Fiocchi and Magtech are all about $18-$23/50 plus shipping, and not from my preferred ammo dealers either.